In a large mixing bowl add potatoes, oil, salt, pepper, paprika, and dried oregano and mix well. 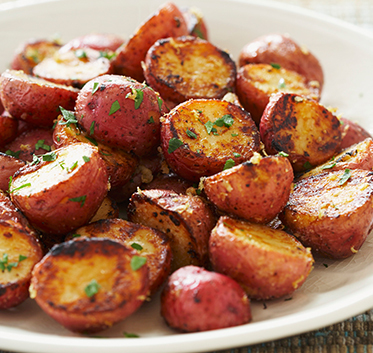 Spread potatoes onto a lined baking sheet and roast in the preheated oven for 25-27 minutes. The potatoes are done when they are slightly browned and fork tender. Remove from heat and sprinkle with fresh minced parsley before serving.